When you are researching the market for a roofing company that will meet your requirements, there are a number of factors you should take into consideration, is the company a registered business operation and holds the required licenses, check their references and if they provide a warranty for their work, read their testimonials and contact referees to assess the credibility of their reference. A professional roofing company will always be more than happy to answer all of your questions. A great company will go out of its way to ensure the customer has understood all the nitty-gritty’s of the process and the contract. Here are the things they should be telling you. It’s commonplace for a customer to ask their prospective roofing company what accreditation and licenses are required to complete the job. The company should be able to provide you with this information and evidence that they hold the relevant licenses. If your project is related to roofing and associated work then the company should be able to produce a roof plumbing licence. 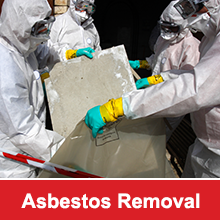 For Asbestos related work either a Class A (Friable) or Class B (Non Friable) removal licence is required. The company team should have a range of experience and be able to demonstrate they have the skills to complete your project. The company may provide you with details and photos of jobs previously completed which are similar to yours. A roofing company should offer workmanship warranties for new work. What is more important than the length of the warranty is the company’s intent & ability to stand by the promised warranty. The workmanship warranty is different from the manufacturer’s warranty which covers the roofing material. A reliable company will provide you details about both and help you understand how these work. A professional roofing company should be willing and able to work with your insurance company if the need arises. The company should assess the damage and provide you with the quote needed for your insurance claim. Regardless of how good a company is, sometimes issues arise. The issue itself is less important than how the company handled the problem. When you are validating referees you may like to ask whether any complications arose during their project and if an appropriate resolution was offered by the company. In addition to all these things, the company should inform you if permits are required, if the permits are obtained by the roofing company the cost of it should be included in the quotation. They will also provide information on any control plans, inductions, safe work method statements and other pre-job planning that they intend to carry out. As you can see, there are a number of things you may not normally think about asking your roofing company, a professional one will always adopt a proactive approach in ensuring their client is well-informed. For high quality roofing services, call R.O. 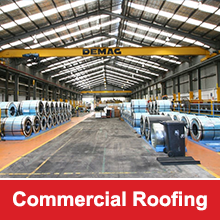 Steel Roofing on (02) 9660 5937.